Below are a few tracks of the music that I am currently listening to. Not that I think my musical taste deserves a wider audience, but I would like to, in my small way, give exposure to some bands/artists that may not be too well known in Europe. 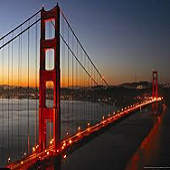 Having been in America for 20 years, the last 14 in California I came across some interesting artists and bands from the Portland area, such as Laura Gibson, Loch Lomond and The Decemberists. More recently I have been listening to a few 'Shoe Gazing' bands that I stumbled across on ITunes, particularly The Daysleepers from Buffalo, New York and Airiel from Bloomington, Indiana. The established music towns in America are known worldwide but there are important centres which are virtually unknown outside of the country and indeed little known within, such as Lawrence, Kansas, where young musicians and songwriters thrive locally and thanks to the world wide web have an opportunity to be heard by a much wider audience. This is the sole purpose of my music page. I will add more as I get authorization to do so. If anyone would like to hear more I recommend sites such as DayTrotter.com who provide free mp3's, videos and stream live sessions of artists such as Laura Gibson and Suzannah Johannes. One of Laura Gibson's tracks below, Hands In Pockets, is a version downloaded from Daytrotter's. All other tracks on this page I have purchased. They are NOT available for download from my site. If you like their songs and think they are worth listening to and putting on your music player, then buy some of their tracks. It is no more than they deserve and in my not so humble opinion...well worth it. P.S. I know I have miscategorized two artists, Okkervil River and Suzannah Johannes, by their inclusion in the West Coast playlist. 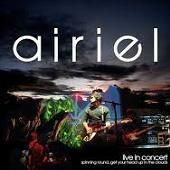 Airiel were formed in 1997 as Airiel Project One in Bloomington, Indiana, by Jeremy Wrenn and former bandmate Shawn Delaney, following the break-up of Wrenn's previous band, Black Olive, who had released one CD called Verge. Added to the band were Andrew Marrah and Chase Johnson whose drum machines and synths make a larger presence and together produce a new sound that keeps the elements that make Airiel great.......strong melodies, lush guitars, strong rhythms and lasting dreaminess. A particular favourite of mine is In Your Room. 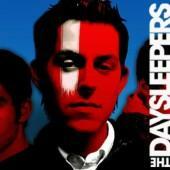 The Daysleepers Formed in 2004 in Buffalo, New York by Jeff Kandefer with friends from local bands who shared a love of ethereal music, their debut EP "Hide Your Eyes" (2005) gained many fans and much praise. In October 2006 the band released their 2nd EP "The Soft Attack", which shows a heavier side, with ethereal guitars spinning into outer space and vocal melodies that soar. In May 2008 the band issued their first full length album, "Drowned in a Sea of Sound," which built on their earlier music while retaining their trademark vocals, drums, and density of sound. West Coast: Portland, one of the main music centres on the United States West Coast if not all the country, has recently produced a wide range of musical sounds from artists such as The Decemberists, founded by Colin Meloy, formerly of the band Tarkio. Loch Lomond, started as a solo recording project of Ritchie Young in 2003. Builders and The Butchers, fronted by singer/guitar player Ryan Sollee and singer songwriter Laura Gibson, to name but a few. From Southern California to Seattle, Washington, there is a vibrant, eclectic and innovative music world that is constantly evolving.